March 28, 2018 – Santa Rosa, California. Uniform Solutions, the leading supplier of employee uniforms online, is proud to announce a new blog post just in time for the busy summer, 2018, season. The post focuses on hotel uniform trends and how to freshen up employees in time for the busiest hotel season. Interested persons can review the new blog post on hotel uniforms, by visiting the website. Those seeking a deep dive into how to buy hotel uniforms online from one of the country’s top uniform suppliers can visit http://www.uniformsolutionsforyou.com/hotel-uniforms/. Here is background to the release. Summer can be an extremely busy time for hotels and resorts, yet new hotel uniforms may need to be ordered before the summer vacation season begins. The savvy marketing manager or hotel owner looks forward, now, to how to get his or her employees to look fresh in June, July, and August, of 2018. The post explains how to look for trends in employee uniforms online with drill-downs to wait staff, bartenders, cocktail uniforms, housekeeping, cook teams, front desk uniforms and even hospitality staff. New hotel uniforms ready to welcome guest by summer need to be ordered and delivered before Spring is over. For this reason, Uniforms Solutions has released a new blog post on hotel uniform trends. From bartenders serving drinks poolside to front desk staff greeting new arrivals, the best hotel uniforms can put everyone in a vacation frame of mind. 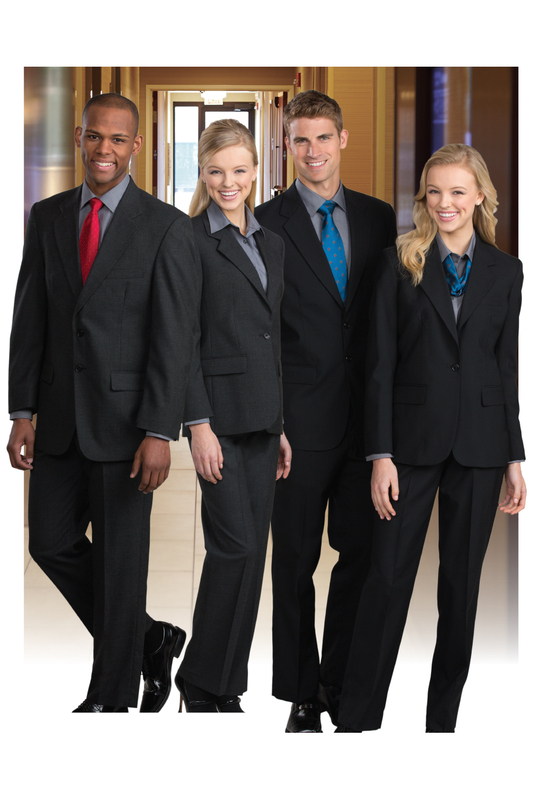 Uniform Solutions for You is a division of Santa Rosa Uniform & Career Apparel, Inc. The division focuses on online sales of employee uniforms in key industries: restaurant, hotel, and casino. Clothing includes restaurant uniforms such as: Uniforms for waiters, bartenders, cocktail servers and cooking staff. Uniform searches may be broken down into categories such as; aprons, vests, server shirts, maid uniforms and kitchen apparel. Owners and managers searching to buy employee uniforms online may find the website has a unique consultation request feature. Interested parties can reach out to a human uniform idea consultant to brainstorm employee uniform ideas.